Israel’s former prime minister and the current chairman of aspiring medical cannabis company InterCure Ltd. Ehud Barak (76) sits behind an elegant desk in his office on the 11th floor of the new Assuta Village Tower in Tel Aviv. A black piano in the background reminds visitors of the former general’s passion for music. On the piano, a framed picture of Barak in his uniform as Chief of Staff of the Israeli military, standing next to then-Prime Minister Yitzhak Rabin. Pictures hanging on the office walls show Barak with former U.S. Presidents George W. Bush, Bill Clinton, and Barack Obama. On the shelves, bronze horses and decorative vases are displayed alongside a dagger Barak received as a gift from a former head of the CIA, and busts of legendary Israeli prime ministers David Ben-Gurion and Yitzhak Rabin. There’s also a statue of Barak himself. 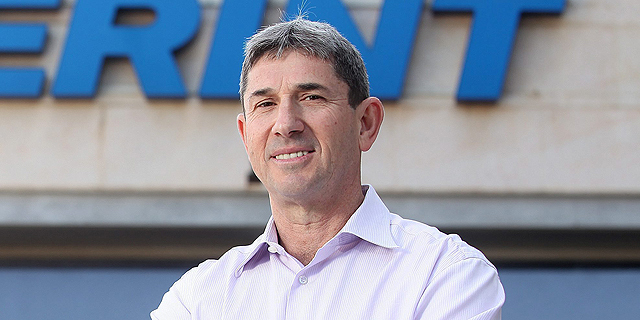 Since he joined the Tel Aviv listed InterCure in September 2018 as a part-time chairman the company’s stock went up over 500%. With reported revenue of under $1 million in the first half of 2018 (NIS 3.1 million), the company’s current market valuation stands at nearly NIS 1 billion, or $272 million. Barak's stock options convertible into 3.73% of InterCure stock are now valued at NIS 32 million (approximately $9 million). Barak and his wife recently moved to the luxury tower, trading in an apartment in another Tel Aviv luxury tower. In the early 2000s, an apartment Barak bought in one of Tel Aviv’s first luxury residential towers caused a public backlash. After decades in which Israel was helmed by leaders who preserved the image of the modest public servant, Barak ushered in the era of the millionaire prime minister, an icon further honed by current Prime Minister Benjamin Netanyahu. “From tower to tower we grow in power,” he says jokingly in the interview with Calcalist held Sunday. Barak has been a private businessman since 2013. Before going into cannabis, he was drawn to companies in the realm of defense, particularly cybersecurity companies. “As opposed to cannabis companies, in cyber five years go by before you can create value,” Barak says. In early 2018, he co-founded Tel Aviv-based cybersecurity company Toka, listed as Cybertoka Ltd. He is an investor and board member in cybersecurity startup GuardiCore Ltd. and a chairman, and a controlling shareholder in another cybersecurity startup, Carbyne Inc.
Defense companies, including weapon makers, are off the table, he says. “I’ve gotten amazing offers, but I decided I’m not going in that direction,” he said. While he retired from political life, Barak is by no means apolitical. His elegant office is where he films poignant political videos, the majority of which are directed at— and against—Israeli Prime Minister Netanyahu, which he regularly posts to his Twitter account. “I don’t take full credit for making cracks in Netanyahu’s political hold, but I’m proud of my contribution,” he says. In the past months, Barak and fellow tower resident serial entrepreneur Kobi Richter attempted to broker a new alliance among Israel’s center and left parties, in preparation for the upcoming April election. The leaders of the parties met at this office. With only two months to go before the elections, Barak did not yet announce he is running. In September 2018, InterCure, which functions as a holding company, acquired Israeli cannabis cultivator Canndoc Ltd. —licensed in Israel to produce and market medical cannabis and its products— for an undisclosed amount. 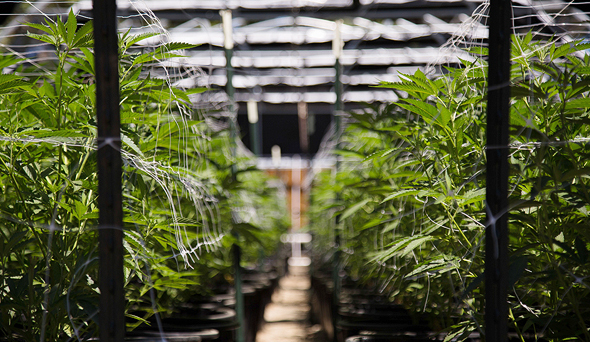 Canndoc is considered one of Israel’s leading producers of pharma-grade medical cannabis. In addition to operating a growing facility in the north of Israel, and preparing to build a second facility in the south set to increase its production to 100 tons per year, Canndoc has recently partnered with other firms to launch activity in the European Union and Canada in coming months. Asked about the seemingly surprising juxtaposition between his previous roles and his current interest, Barak explained he sees a great business potential. After his attention was pointed to the field by a friend, Barak said, he quickly delved into research. 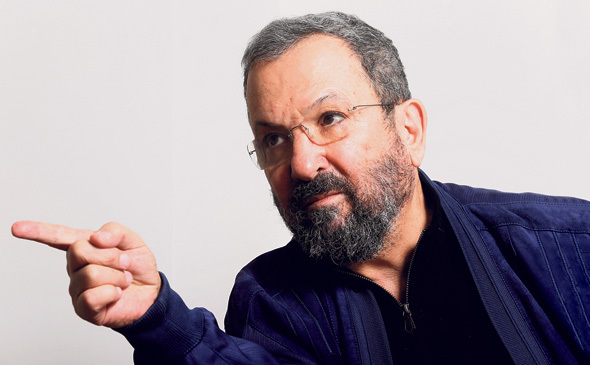 Barak holds a bachelor's degree in physics and mathematics from the Hebrew University of Jerusalem, and a master's degree in engineering-economic systems from Stanford University. Cannabinoids, he says, can improve quality of life, and ease and slow down the development of the symptoms of various diseases. In some cases, cannabinoids can cure disease. Last month, Barak was in Davos, Switzerland to discuss the future of the medical cannabis industry on stage with Anthony Scaramucci, the former director of communications for U.S. President Donald Trump. The event was part of a three-day cannabis conference organized by Israeli accelerator and services company iCAN: Israel-Cannabis, and hosted by the Canada Pavilion during the World Economic Forum. Among the attendees were Richard Carleton, the CEO of The Canadian Securities Exchange (CSE), an alternative stock exchange in Canada; Jason Paltrowitz, the executive vice president of New York-headquartered OTC Markets Group; and Bruce Linton, CEO and chairman of Canadian cannabis company Canopy Growth Corporation, which reported revenues of $40 million Canadian dollars for 2017. The event was sponsored by Vancouver-headquartered investment banking and financial services company Canaccord Genuity Group Inc.
Barak speaks passionately about the interest cannabis companies drew at Davos, listing the international cannabis companies and investors who attended the event. In the 48 hours after the announcement of his appointment as InterCure’s chairman, the company’s stock price went up by 40%, but Barak puts the attention the company is getting in a broader context. A December Reuters report according to which InterCure plans to list on Nasdaq by mid-2019 contributed to investors’ interest. Barak also credits InterCure’s controlling shareholder Alex Rabinovich when it comes to traction in capital markets. Rabinovich is a serial entrepreneur and investor in the field of biotechnology. In addition to being the controlling shareholder of InterCure, he holds a 25% stake in Israeli pharmaceutical company XTL Biopharmaceuticals Ltd. But Barak’s name and his connections have proved valuable to the company so far. Swiss-based Jewish Billionaire Gary Fegel, who has been dubbed by Israeli media “Ehud Barak’s billionaire” for having invested in several companies he was introduced to by Barak, has invested $6 million in October as part of a private placement. On Monday, Fegel’s wife, Yael, bought 1.73 million of InterCure’s shares for NIS 17.5 million, increasing the couple’s share of the company to 14.5%. In November, WeWork CEO Adam Neumann has invested $5 million in InterCure in return for a 4.5% stake in the company. Between 2001 and 20016 Barak advised to large U.S. hedge funds. Q: Some people describe you as no more than a famous face to be affiliated with the company. Is there truth to it? A: I have a master’s degree in engineering-economic systems from one of the best universities in the world, a wealth of experience in managing large networks, both in the defense sector and as prime minister; I have capital market experience. I don’t feel like decoration. I know exactly what I’m doing. I know the people who are the managers of the managers of the people who sit with us check the company in terms of underwriting. I know them from closed discussions, conferences, and meetings on geopolitical issues. According to Barak, Canndoc is already in talks with five investment banks, set on a Nasdaq IPO in the second half of the year. Until then, Barak said, he is holding on to his own options. He is not worried about the seeming disparity between the company’s reported revenues and its market capitalization. The same, he says happened with cannabis companies in the Canadian market, such as Canopy Growth Corp., Aurora Cannabis Inc., and Tilray Inc.
“We want to produce 100 tons per year. That would get us to sales of around $1 billion,” he says. Asked if the market capitalization of such companies is not inflated, Barak is steadfast.